Cantor Sandy Horowitz, who also serves as our Religious School Director, was ordained at the Academy for Jewish Religion in 2014. She also has a Masters in Jewish Studies from Gratz College. Raised in a Foreign Service family, Cantor Horowitz spent much of her childhood abroad. Her Jewish identity developed not from synagogue life or formal Jewish education; rather, it grew in the context of experiencing other cultures and traditions, a unique experience which has informed her outlook ever since. 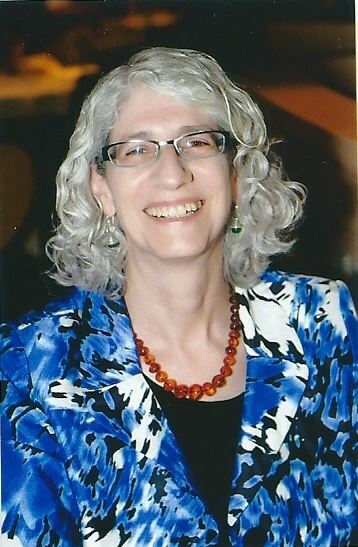 After receiving her BA in English Literature and Composition from Colgate University, Cantor Horowitz moved to New York City where she began formal voice training while working first in publishing and then as a computer systems analyst and systems manager. She began exploring her Jewish roots by becoming active in Reform synagogue life–and immediately found a connection through music. She became a cantorial soloist and b’nei mitzvah tutor, and was a founding member of the Hebrew School of Beth Am The Peoples Temple and Hebrew Tabernacle of Washington Heights, where she was actively involved in curriculum development and policy planning. While studying at the Academy for Jewish Religion, Cantor Horowitz served as cantorial intern and religious school teacherat Temple Beth Shalom in Hastings-on-Hudson, and as student cantor of Temple Beth Sholom in Flushing, NY. She twice received the AJR's Rabbi Timoner Award for musical composition. As a classically trained singer who also loves classic rock and folk music, she is equally comfortable with the great masters of Jewish hazzanut and contemporary participatory repertoire. Cantor Horowitz lives in Washington Heights in New York City with her husband Marty Morell, an international-development specialist and avid musicologist. Their daughter Sara is a graduate student at the University of Michigan, working on her PhD in American Politics.